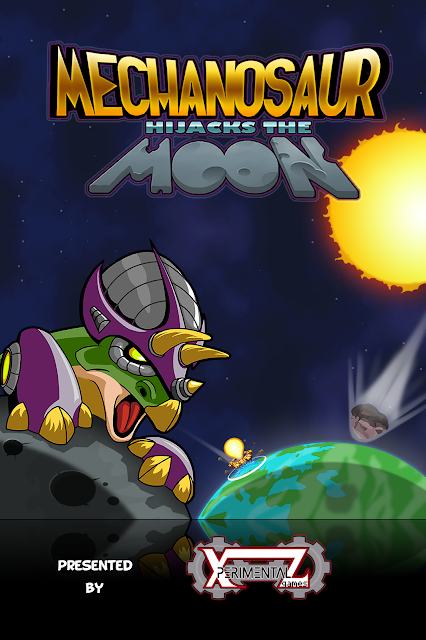 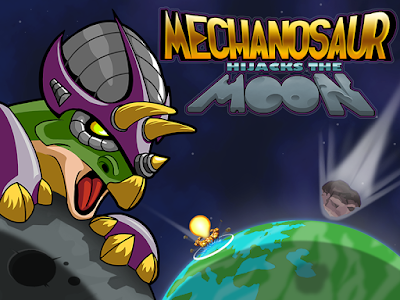 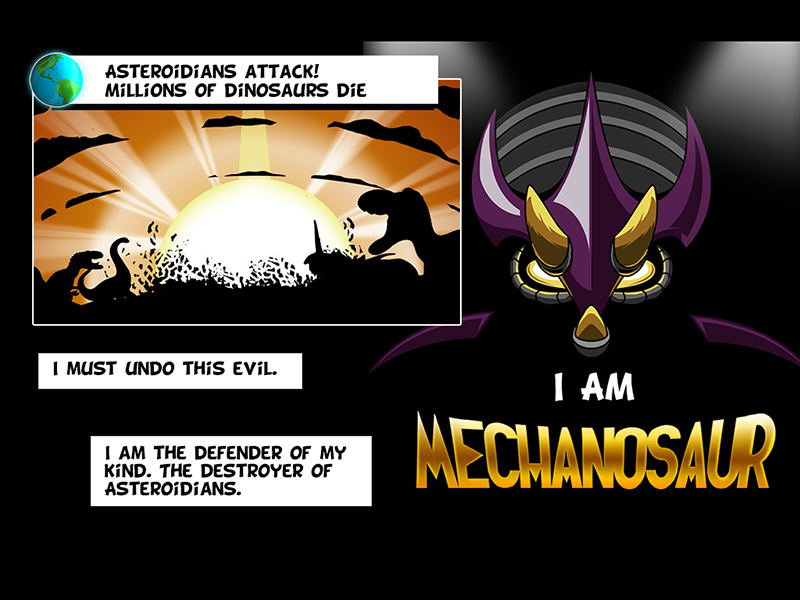 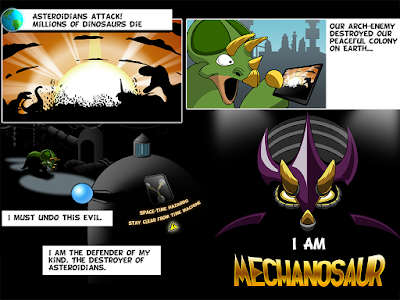 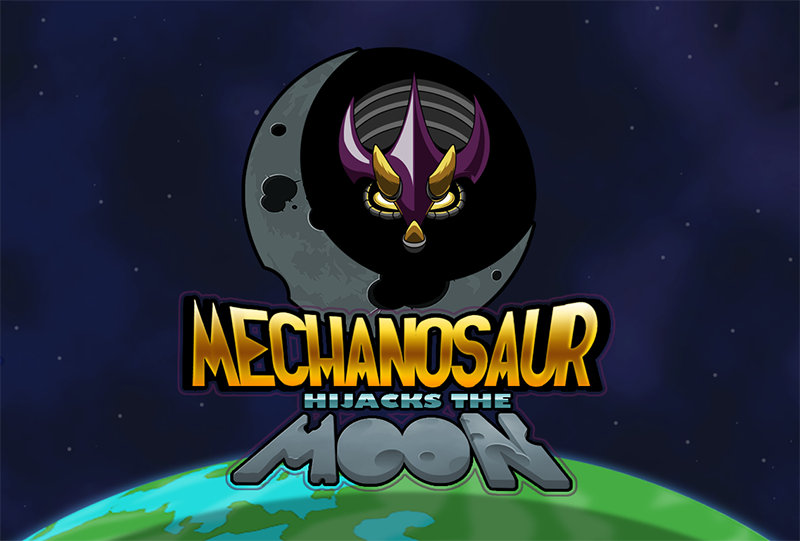 Mechanosaur Hijacks the Moon is a funny challenging score-chasing one-touch endless game! 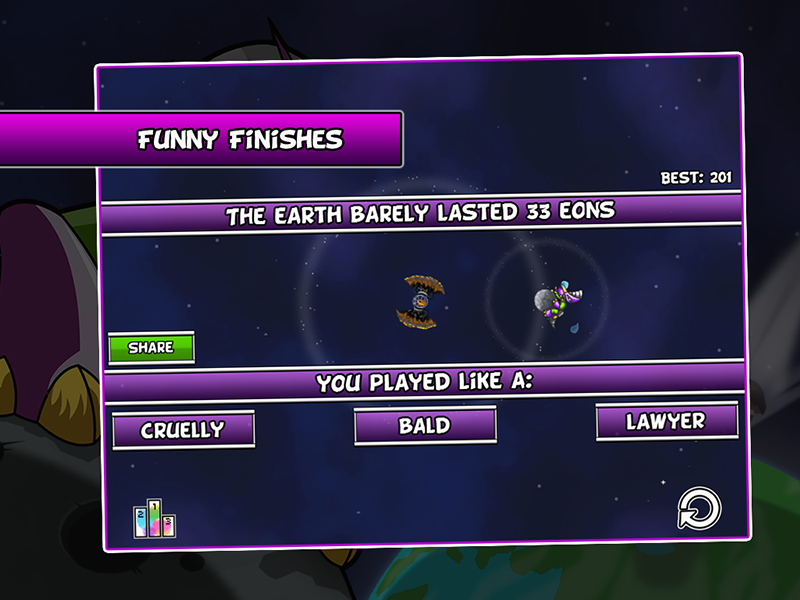 Easy to learn, hard to master! 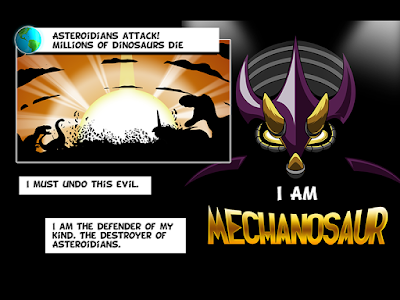 For millenniums, the dinosaurs have battle the evil Asteroidians across the galaxy. 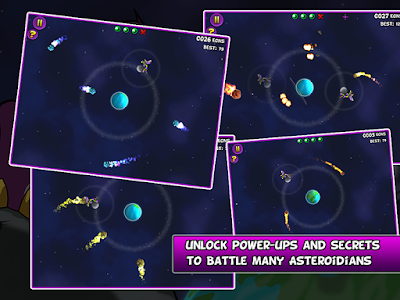 As they thought them defeated, the Asteroidians came back and pulverized a Dinosaurs colony on a remote planet, Earth! 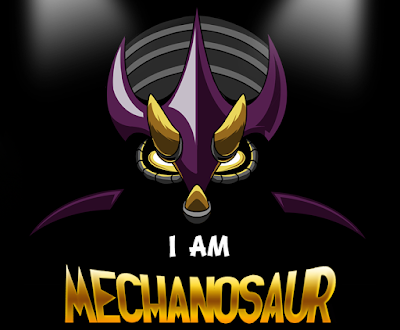 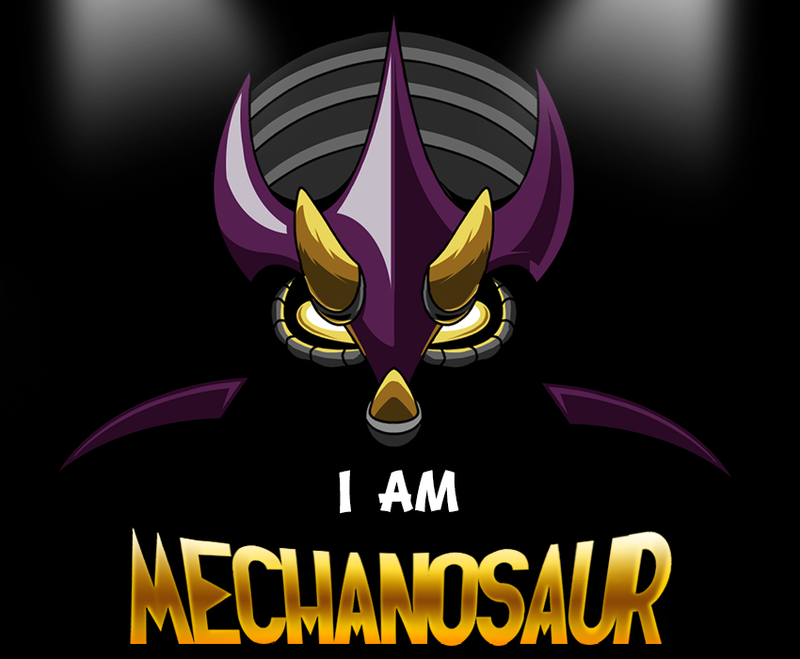 It is time again for the Mighty Mechanosaur to slip in his super-dino costume, jump in his time machine, and do something about it! 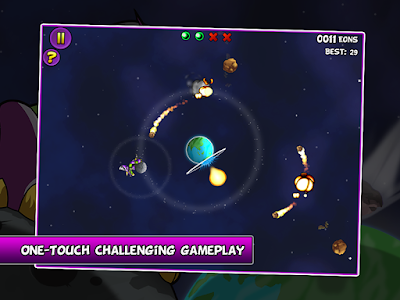 Touch the screen to turn around the Earth faster. Use the moon's gravity to pull asteroids toward it and smash them! 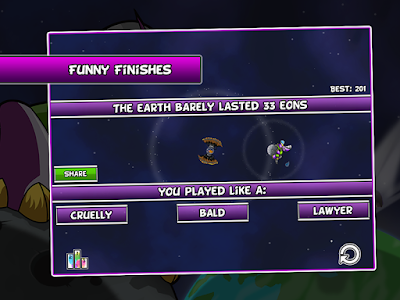 Evolve new creatures on high scores or get greeted by the random insults generator otherwise! 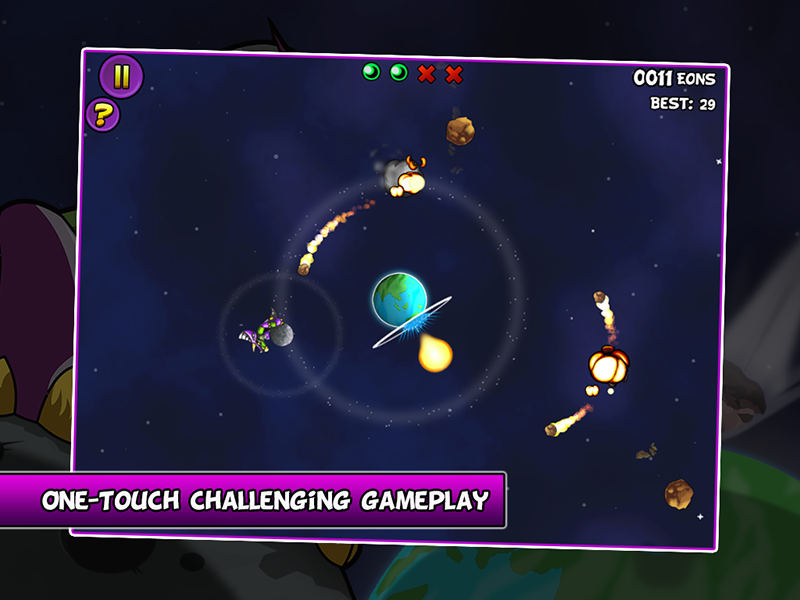 Featured worldwide and tweeted by Apple!